AV-8As entered service with USMC in 1971 wearing Dark Green / Gunship Grey over Light Gull Grey pattern. 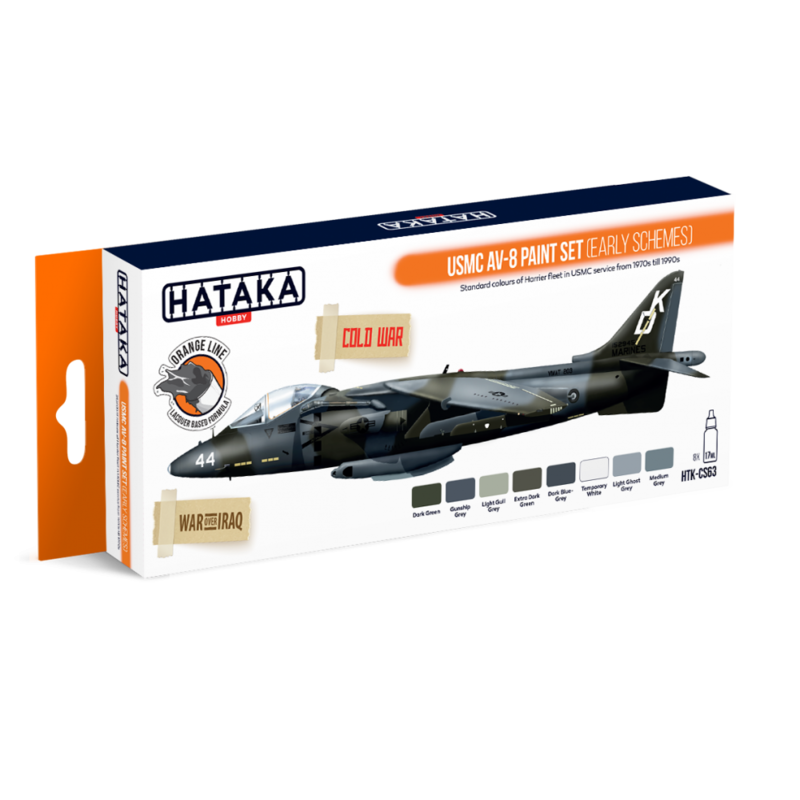 In early 1980s, parallel to introduction of AV-8Bs (and modification of A variant to C standard), new colours were introduced - Extra Dark Green and Dark Blue-Grey (firstly on upper surfaces, later in wrap-around scheme). During the Operation Desert Storm the "Land Camo" was regarded as ineffective in desert conditions and field-repainting of AV-8Bs was ordered (mostly with paints available in neighbouring units) - either by covering only the dark green patches of camo or by repainting of overall aircraft.